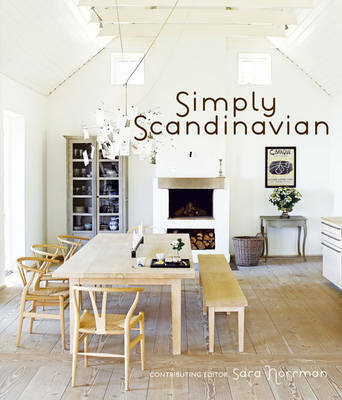 Scandinavian interior design is admired the world over for its unpretentious simplicity and understated elegance. Rooms are typically airy, light and bright. Furnishings are modern design classics from the key names of Scandinavian design usually mixed with pretty antique and vintage pieces. The beauty of natural materials, especially wood, is celebrated in the home. It's a style that's in tune with today's wish for calm, uncluttered spaces to live in. The 20 homes featured in this book are presented as case studies, with chapters including Elegant Simplicity, Pared-down Modern, Contemporary Rustic and Eclectic. Each home showcases an aspect of Scandinavian interior design and the home owners include architects, fashion and jewellery designers and antique dealers.